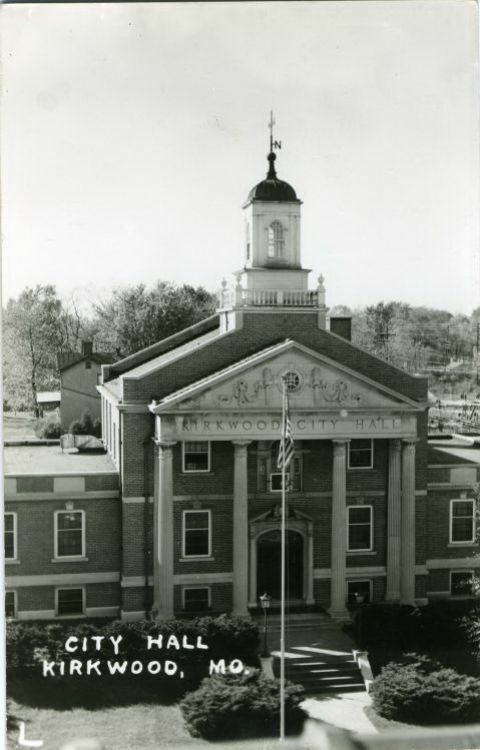 The Kirkwood City Hall was built in 1941. On February 7, 2008, a disgruntled resident went on a shooting spree here, killing policemen William Biggs and Tom Ballman, council members Connie Karr and Michael Lynch, and Public Works Director Ken Yost. Mayor Mike Swoboda died from his wounds on September 6, 2008.